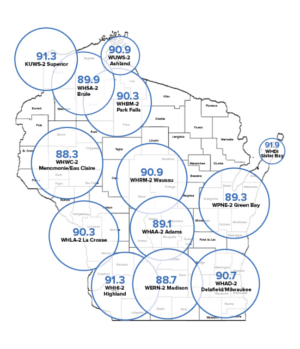 Wisconsin Public Radio consists of 37 stations programmed by seven regional studios and carrying programming from three WPR networks! 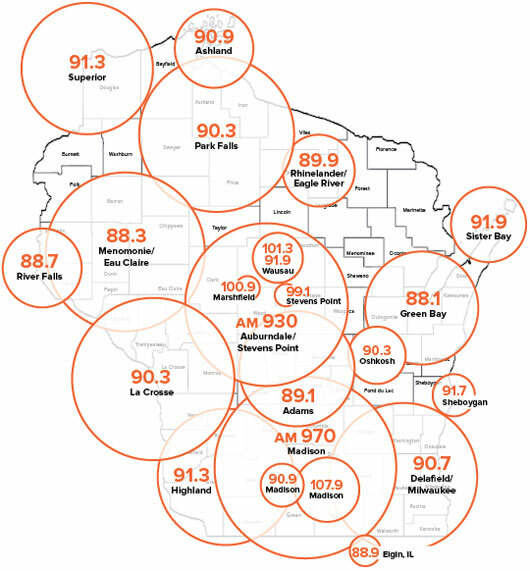 You can listen to the Ideas Network, the News and Classical Music Network and the All Classical Network. 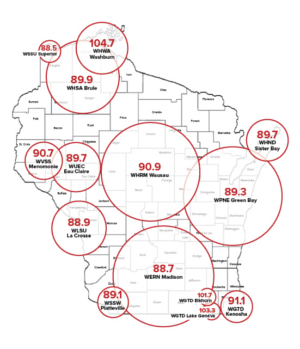 These stations, studios and networks allow Wisconsin Public Radio to serve local, regional and statewide audiences with the highest quality programming available. 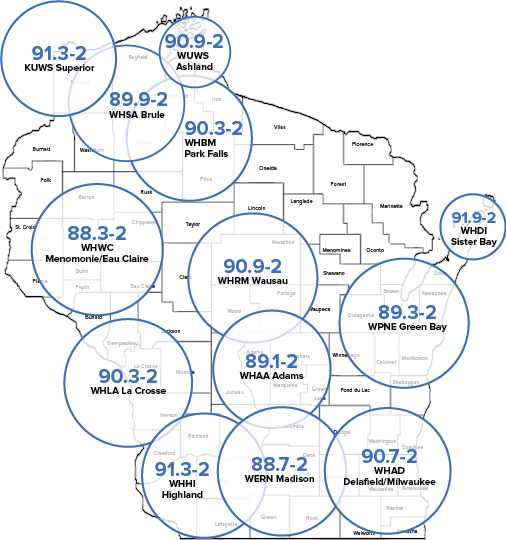 For schedule information, click on a station's "circle of coverage." 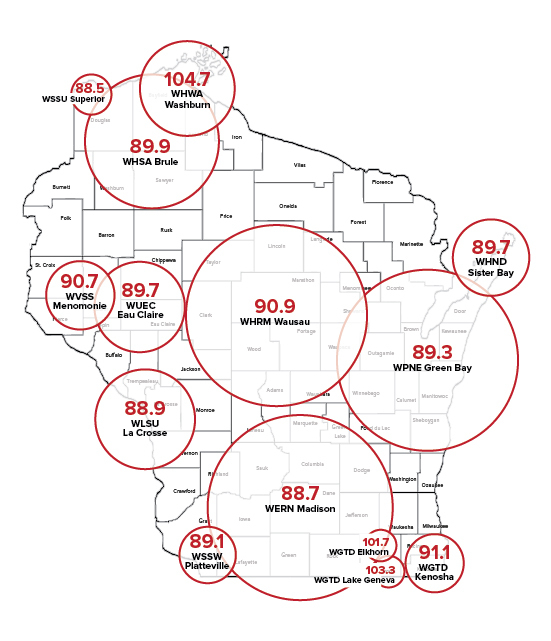 More precise coverage can be found on each station's Technical Information page. 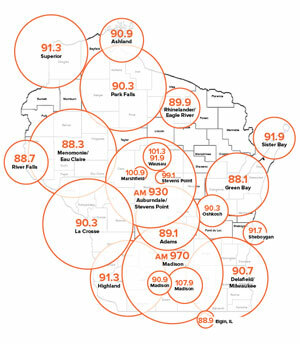 Also, check out our list of Regional Studios & Stations.